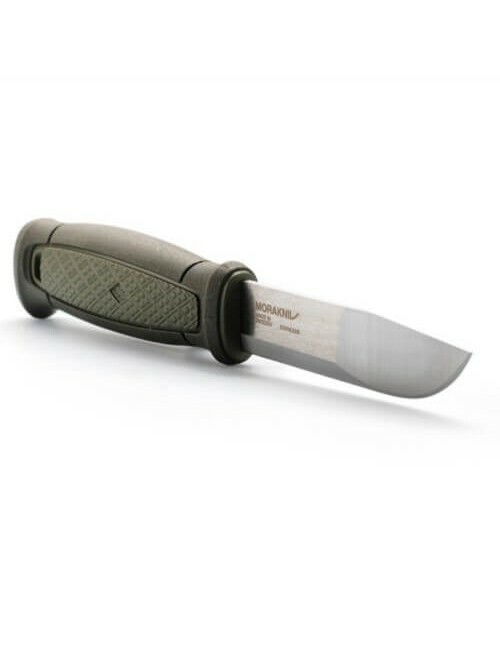 The Morakniv Bushcraft series is well-known in the messenindustrie for a good quality at an affordable price. 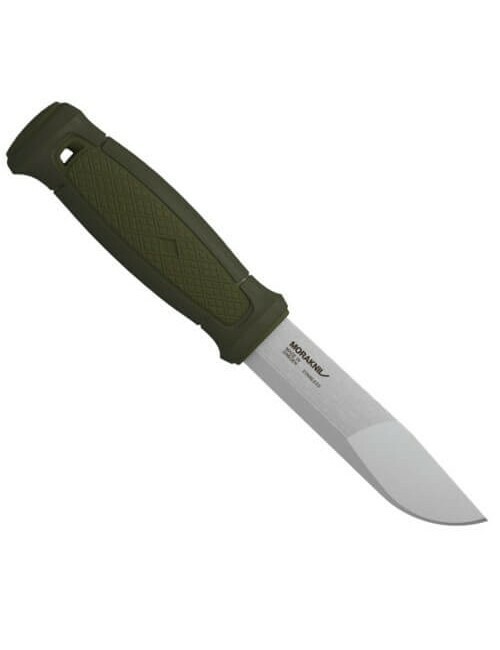 This Mora BushCraft Forest is equipped with a fixed blade of Swedish cold-rolled special stainless steel. With the rubber handle grip in the most adverse conditions. 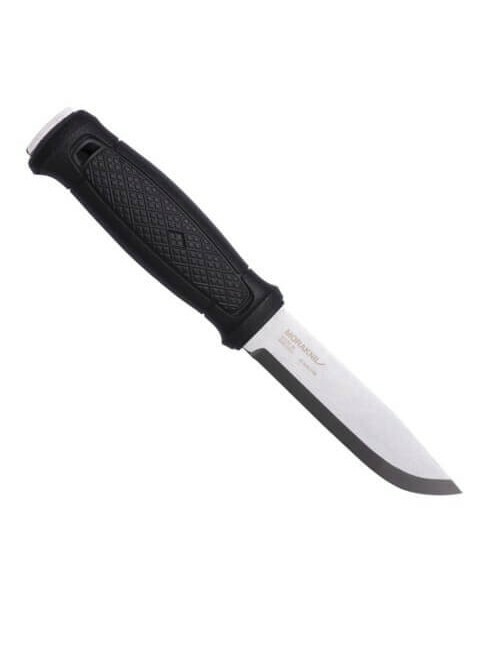 With the jimping on the handle you can get him on the best way to use. 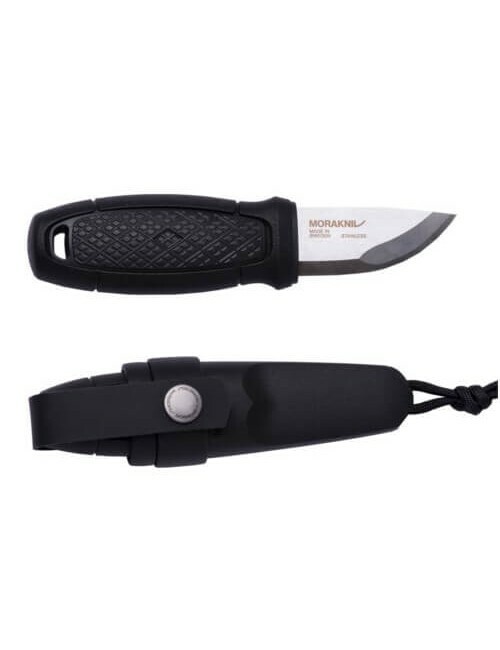 The sheath includes two interchangeable belt clips.